ibVPN promises you’ll be invisible while using their VPN. Is it really possible to keep yourself completely hidden? In our Invisible Browsing VPN (ibVPN) review, we dig into what makes this ultra-cheap VPN so popular. The price is certainly a factor, but this Romania-based VPN packs quite a punch. In this review, we find out if the quality goes down with the price, or if we just found one of the cheapest bang-for-the-buck VPNs. With 16 years of presence in the industry, we would like to bet that this VPN provider knows what they’re doing. Our readers are like us; if we can’t watch my favorite shows on Netflix on one VPN, we look for alternatives. This is not the case for ibVPN. You can see and test the Netflix optimized servers for the sole purpose of streaming. Of course, we had to test it and the results were not exactly what we would consider as exceptional. Don’t worry about this happening. ibVPN succeeded with accessing Netflix and showing geo-restricted shows but we occasionally got the dreaded black screen. 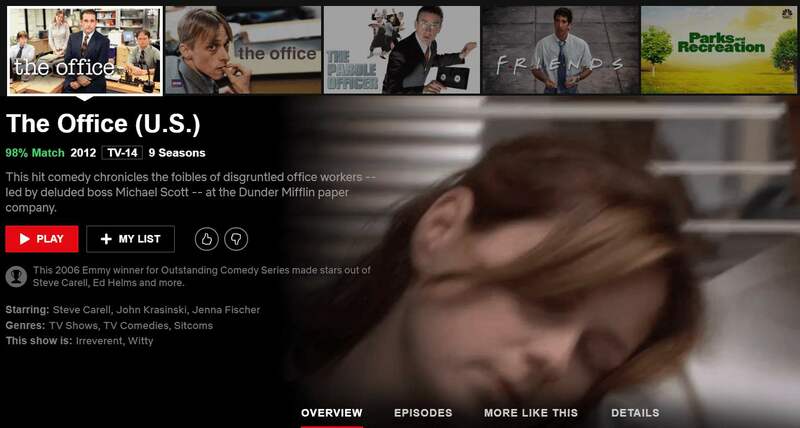 Due to their limited server count, if Netflix is able to block one server, then your options get quite limited. This is not to say that it never works. From time to time their IP addresses get refreshed and provided us working Netflix servers. What we really liked about ibVPN for Netflix – the speeds were great and movies didn’t buffer even when playing at the highest video quality. Spare yourself from the confusion that we went through, just get the Ultimate VPN plan. It’s less than two dollars more than the Standard ($3.08 per month), but you get all the features that ibVPN has to offer. At $4.83 month (at the time of writing), the Ultimate VPN Plan is cheaper in comparison to top-tier choices like ExpressVPN, which is priced at $6.67 per month. That’s almost 2/3 of the price! They also have different packages, but these plans are neutered from the greater features. Something else to note for the readers: all plans except for the Ultimate VPN plan only allows for 1 device to be connected on the network. 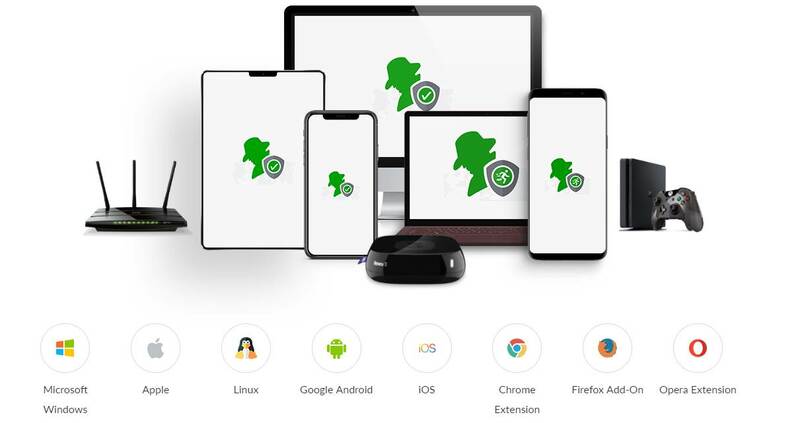 The Ultimate VPN plan offers up to 5 simultaneous connections, which is really convenient since most of us would easily own at least 2 devices. It truly is confusing as to why they have this kind of pricing structure, but one thing is for sure: the Ultimate Plan is the ultimate deal ibVPN offers. Let’s not forget – ibVPN has regular promotions around the holidays, bringing the Ultimate VPN plan down to as low as $3.45 per month. It doesn’t look too modern… but don’t let that turn you away. 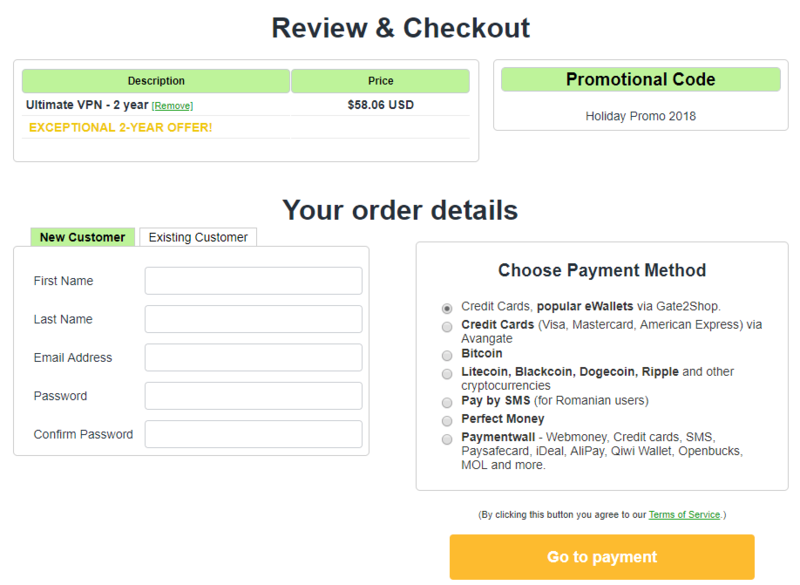 You won’t have trouble finding ways to purchase an ibVPN subscription, there’s a wide array of options for payments. 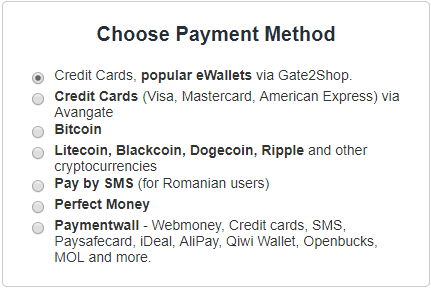 All major credit cards are accepted, they have a partnership with Paymentwall, SMS payments for Romanians, and a whole lot of cryptocurrency options. It’s great that ibVPN did not limit their crypto option to just Bitcoin; they also accept other denominations like Dogecoin. This is great news for crypto traders that owns a variety of coins. Something to note though, ibVPN is one of the rare VPN providers that do not accept PayPal transactions. We have no clue why, but then again there’s a whole lot of other options anyway. 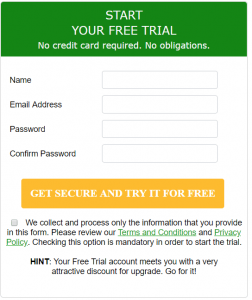 ibVPN allows you to try out their product without having to enter any credit card information, albeit with a twist. You only have 24 hours to try out their Ultimate VPN plan; that’s pretty annoying for anyone since they’d have to be in a hurry. 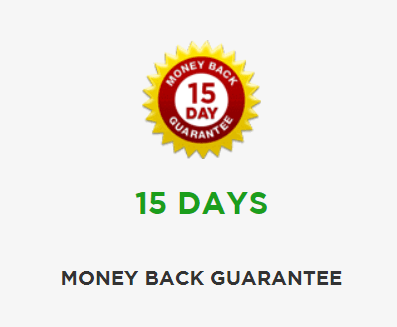 But should you wish to extend your trial period, ibVPN offers a 15-day money-back guarantee for those who have purchased the service from them. But at least there’s some leeway in getting your money back if things don’t work out. All the bases are covered here; you have Windows, Mac OS, Linux, iOS, Android, gaming consoles, and even routers too. 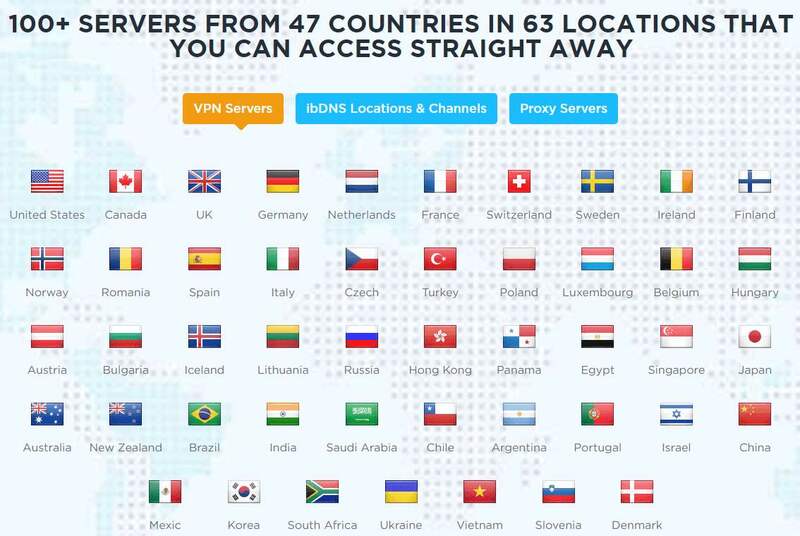 We’re glad that ibVPN offers these solutions for users, most VPN services at this price range don’t offer anything close to this. We’re fans of live chat supports; it just makes the experience way easier for everyone. We’re also glad that ibVPN has it, their customer service reps respond to your concerns right away. You could also file a support ticket through the app or the website, and if you’re more traditional, you could also send them an email. Their Help Center covers everything that other VPN providers also have; setup guides, FAQs, knowledge on VPNs and such. 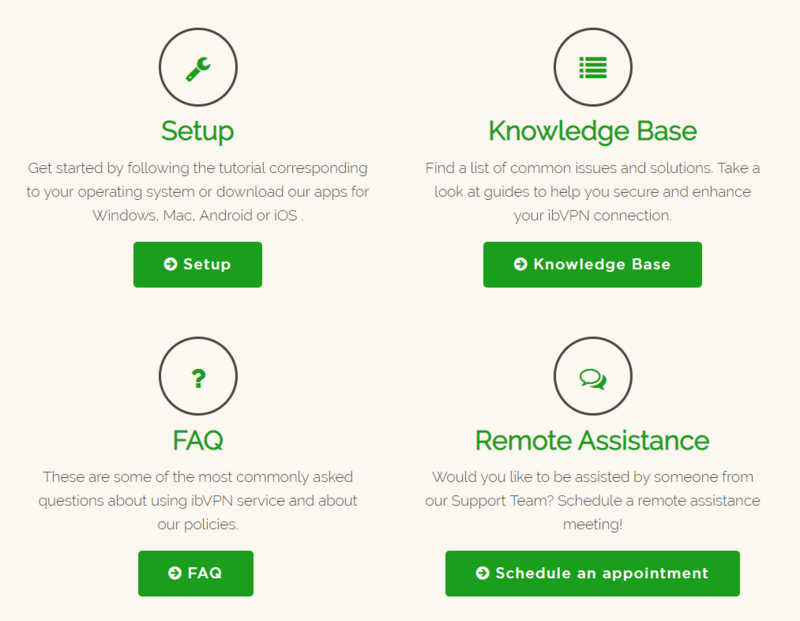 What sets them apart is that users can schedule for remote assistance. Should your VPN problems be too worrisome, you can let any of their support team take control of your PC and fix your problems while you watch. This is unique among VPN providers, and it’s unheard of in this price range especially. Since ibVPN is based in Romania, they’re not required to keep logs by the law, neither do they voluntarily do so. No traffic logs are being kept on their servers and this ensures that you have complete privacy while on their network. No leaks – you’re safe. Your IP address is basically the first level of your online identity. If your IP address is exposed, not only is your identity exposed but you can also be subject to threats and vulnerabilities. 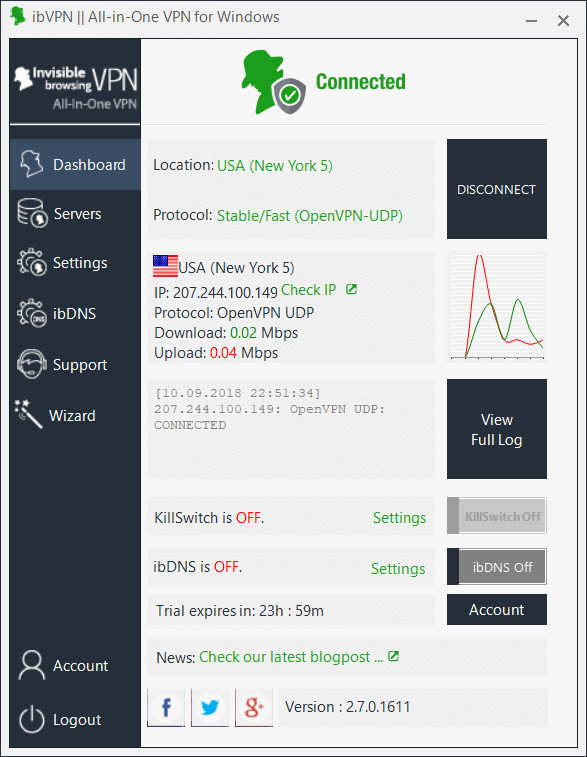 We tested for any IP and DNS leaks while being connected to ibVPN and the tests were passed with great success. No leaks were documented which indicates a secure connection for ibVPN. When choosing your VPNs, you have to be very discerning about the grade of security that can be provided to you. ibVPN comes with a 256-Bit AES encryption, which is on par with the best VPN services out there. This means that your online activity is encrypted so well, there’s no chance that anyone can see what sites you visit or what you download, not even your VPN provider. Despite being old, the product doesn’t lack essential features like this. A kill switch is one of the first lines of defense that your VPNs use in case of an outage. With the kill switch on, your VPN will block your internet connection when your connection is not secure. This gives you the assurance that all your online activity are being routed and encrypted through the VPN. This also nullifies the chance of your IP address being exposed as it will automatically shut down your connection when your IP is being revealed. With VPN providers (even newer ones) offering thousands of servers, ibVPN’s server count is easily put to shame. A lot of users will quickly judge this VPN provider for having a server count so small in 2018. We can’t blame them. We’re part of that crowd. Whatever the numbers are, we believe that we have to be fair in regards to the server count vs. the speed and quality that we get out of these servers. The servers are spread out in 47 countries around the globe; this fairs well for users that travel a whole lot. The basic VPN plan is extremely cheap. ibVPN offers an “Ultimate VPN Plan” for less than a dollar more. They also offer more server options like a P2P server, which is not available in the basic plan. Any feature-rich VPN that doesn’t put out good speeds is still a bad VPN. Thankfully, ibVPN speed output is not too shabby. It’s far from the fastest VPNs we tested; you obviously get what you pay for. But this budget-friendly VPN puts out speeds that are usable for large file transfers and even 4K content streaming. We tested the speeds of ibVPN in our NA and EU servers that are on 100 Mbps connections and here’s what we got with ibVPN. As mentioned earlier, these speeds are far from “bad” by any means. We didn’t expect much from ibVPN considering that it’s a cheap service, but we’re glad that they were able to put out a solid performance. Can you do without a VPN? If you’re after raw speeds, you can also try out ibVPN’s option for a Smart DNS service or some other premium VPN providers. The Smart DNS option basically allows you to still conceal your IP and DNS to have access to geo-restricted content, without encryption. Your online activity and the content you consume won’t be hidden, but you get the fastest streaming speeds possible. 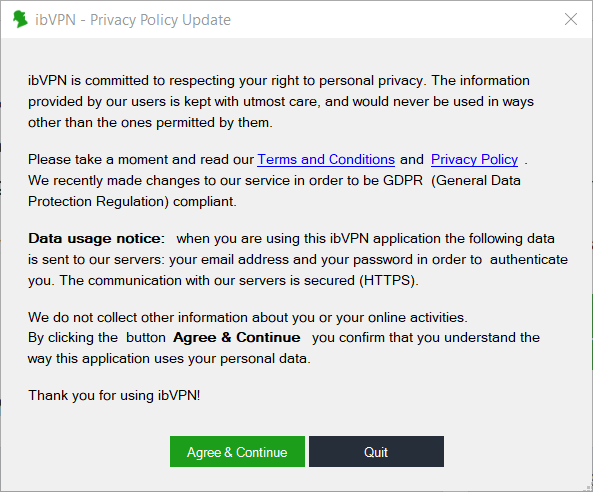 It’s obvious at this point that ibVPN really wants you to go for the Ultimate VPN package rather than their Standard VPN. 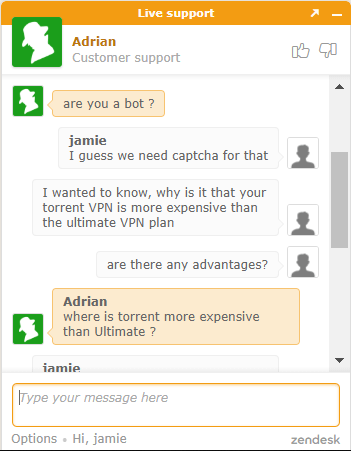 You can’t have access to torrenting and P2P file sharing when you don’t subscribe to their Ultimate VPN package. It’s either that or go for their “Torrent VPN” plan, which was weirdly more expensive than the Ultimate VPN plan that had the same features, and more. What we liked about ibVPN for torrenting is their use of SOCKS5 proxies which effectively allows you to fully maximize the speeds of your torrent downloads, albeit without encryption. If you’re not downloading anything illegal or copyrighted, and just want to spoof your IP address to get rid of geo-blocks, then SOCKS5 proxies are a great thing. Otherwise, you can stick to just the VPN itself since the speeds aren’t so bad after all. Someone tell them to update their website! If you’ve been visiting a lot of VPN websites like us, you would know that almost everyone tries their best to add some eye candy to their website. We shouldn’t judge a book by the cover, or in our case, a VPN by the website… but the entirety of ibVPN’s looks feels dated. If you’re the type who likes reading and following instructions, the process shouldn’t be so hard for you. But, if you’re the type who prefers a more simple approach to signing up, then you might need to take a few extra steps. After signing up with ibVPN, you will be taken to a downloads page, where you select the platform of your choice. This automatically starts the download, and the installation process is no different from any software. It’s a fairly simple process. The installer is like every other installer. Once the installation is completed, you have to place your login credentials before reaching the main menu. The ibVPN product interface may seem outdated but is deceivingly good. While there’s a 1-click connect option, the main menu is filled with lots of options and information that could seem daunting for novice VPN users. But, what we do appreciate is that everything we need to change is accessible in the menus. The saying goes, “function over form”… or something like it. Not one we can think of! As if a VPN is not enough for the average user, ibVPN offers a double VPN solution. This enables the user to connect to a VPN server that connects to another VPN server, effectively doubling the encryption of their data and online activity. This comes with the downside of slowing down your internet connection, but for the most paranoid about anonymity, this one’s a great selling point. 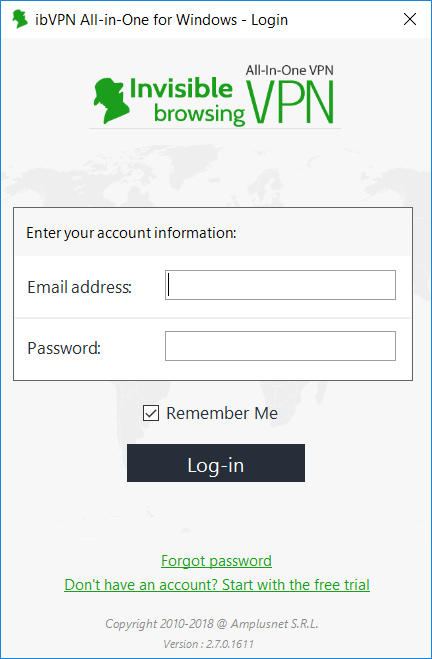 Users of the deep and dark web would be glad to find out that ibVPN has this feature as well. Combining the anonymity of browsing with TOR with the added-on privacy of a VPN empowers users’ privacy. This is virtually a fool-proof way to have secure and private access to those unindexed websites. It’s really amazing that ibVPN has these specialty servers as this was something we have only seen in the like of the well-renowned NordVPN. The history of ibVPN starts in 2003 when a team of privacy advocates formed and started various privacy and anonymity projects. The company is known as AmplusNET S.R.L. 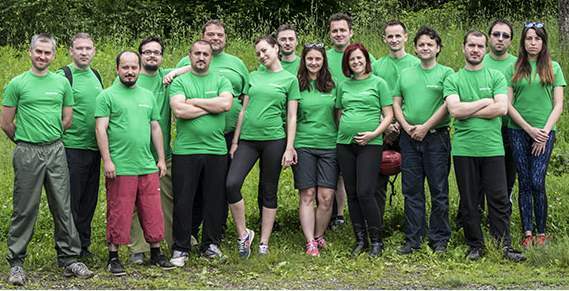 – a parent company of ibVPN that also specializes in software monitoring and analytics. In total, they have been around for 16 years, just a little younger than Yahoo and Google. The official launch of the company was in 2010 and since then, they have been fighting the good fight. When we consider that the internet isn’t really that old yet, we quickly realize that ibVPN has been around for quite some time. The tech industry isn’t so forgiving, and to operate for 8 years in the industry is enough proof that ibVPN operates with great business acumen. According to Romania’s public database, the company reported having a turnover of 3,012,584 RON, or around $750,000 in 2017; of which, net profit being 988,240 RON, or around $247,000. Some of our casual readers might disagree with us, but having a VPN based in the 14-eyes alliance turns us off a bit. A VPN service under the 14-eyes means that their government, as well as the alliance members, can take your data from your VPN provider with whatever means necessary. There are even reported cases of wiretapping in these countries. This can be alarming for those who going for complete anonymity. Luckily, ibVPN is based in Romania which has no data retention laws and isn’t known to be friendly with the alliances. Your data and identity look safe here. Without a doubt, the 2-year commitment doesn’t really sound so bad when you factor in how cheap ibVPN is. You get top-grade security for a really low subscription, decent chance to access Netflix, reliable speeds, and there’s a long track business record that you can rely on. It’s not the fastest VPN, it doesn’t have so many servers, it’s certainly not the prettiest, but it’s one of the cheapest. If you’re a user on a budget, ibVPN might be just for you! + Lots of security features.